Alliance Distributors Holding Inc. (Pink Sheets: ADTR), a distributor, developer and publisher of interactive video games and gaming products, announced today its Alliance Digital Media® unit, in partnership with BlazBlue creator Arc System Works and Aksys Games, has released BlazBlue: Battle CardsTM for the iPad®. 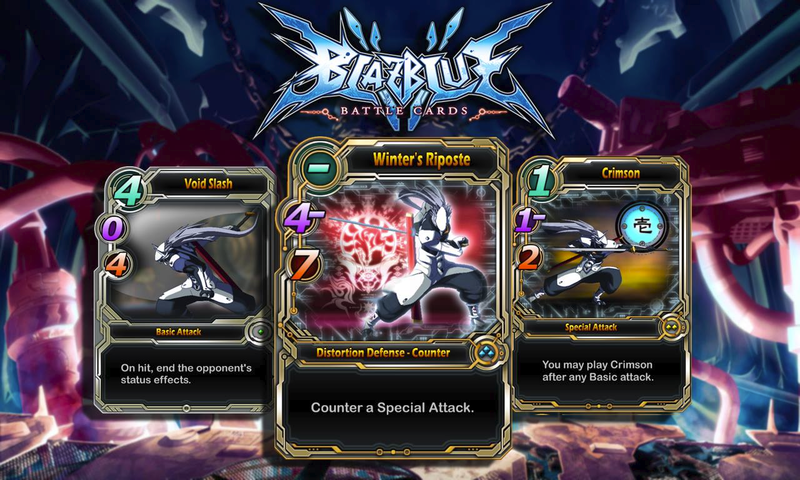 The app captures the excitement and epic intensity of the BlazBlue brand and its roster of fighters in a dynamic multiplayer card combat game. The app allows players to choose their warrior from one of nine iconic BlazBlue characters; build their deck from a wide range of attacks and special moves, and then go head-to-head online against other players through the built-in matchmaking, ranking and leader board system. Toshimichi Mori, creator of BlazBlue said, “I was really surprised to find out that a card game based on BlazBlue was being made (and outside of Japan, as well! ), but I’m really happy and grateful that BlazBlue is going to be available on mobile platforms!